I am a sound healer, energetic practitioner, Minister in the state of California, Doctor of Oriental Medicine in New Mexico, and a Licensed Acupuncturist in Colorado. I have been an alternative healer for 20 years. In 2001, I had an enlightening experience which enabled me to perceive other realms, hear the angelic beings, and increased my empathic and clairvoyant abilities. I have mastered the ability to help people release the root causes of their suffering. My tools help people discover how to move forward with greater peace, empowerment, and freedom. Aleya’s writings about the body, Devas, her personal poems and how-to’s. Aleya’s articles and her personal history of what she does and how she does it. Discover What’s New with Aleya’s Dao! All about the ‘Cups of Consciousness®,’ how to listen, definitions and terms. Articles about healing the body, supplements, practitioners, and more. Shop the latest meditations, books & CDs; Sign up for courses and meditations. Whats going on with the energy around us, and how to use it to thrive. 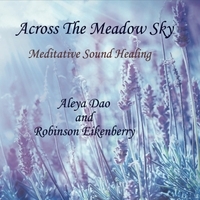 Samples of Aleya’s Toning and Meditations. Q & A and support. Keep up with Aleya on her social media!